October 2018. University Park, Nottingham. 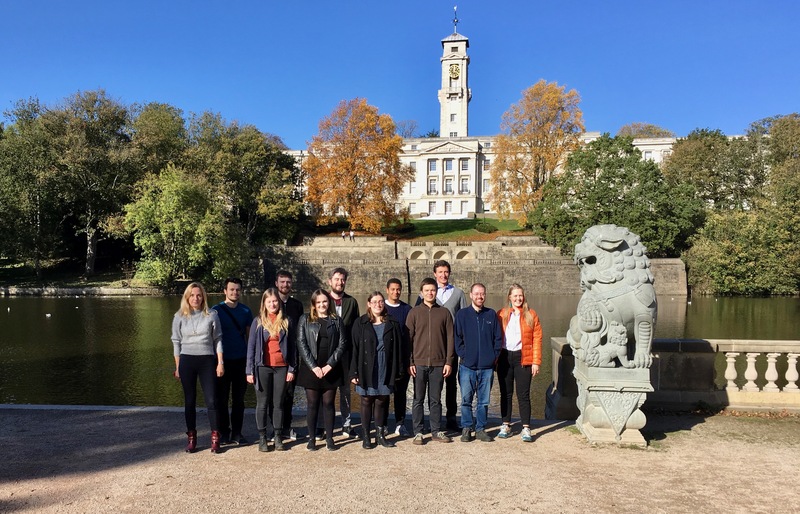 The Computational Materials Group at Nottingham, headed by Professor Elena Besley, is home to theoretical and computational chemists who are interested in nanoscale phenomena. Focus of our current research is on development of theoretical approaches to prediction of materials properties; computational modelling of the behaviour, properties and manipulation of nanomaterials; modelling electrostatic interactions at the nanoscale; and gas storage and fundamental interactions in porous solids. We encourage applications from students wishing to study for a PhD degree. If you are interested in computational chemistry and nanoscience, motivated and have a strong background in chemistry, physics and maths, we hope to hear from you.